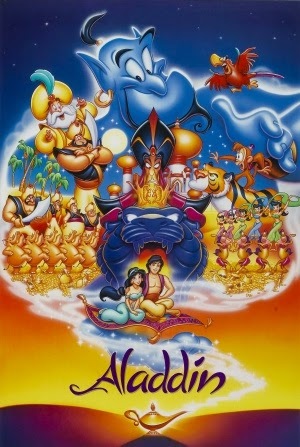 The second highest grossing film in Disney's 1990s Renaissance era, Aladdin is also one of their most treasured - thanks to its gorgeous visuals, memorable characters but, most importantly, an iconic performance from the late Robin Williams as the Genie. 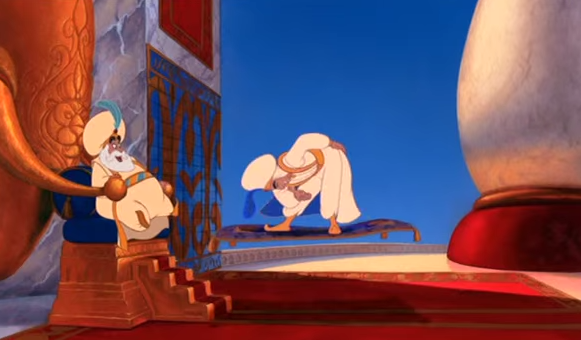 On a visual level, Aladdin is one of Disney's strongest efforts, with a clean and fantastically drawn style that animates smoothly and beautifully. This level of aesthetic care also translates to the soundtrack and vocal performances - the cast all perform wonderfully, and the songs are just as fantastic as Alan Menken's score itself. Of course, everyones favourite performance is Robin Williams as the hilarious Genie; he demonstrates an ability to provide comic relief, genuine emotion, and can flex his voice in a number of ways to craft one of the most memorable characters in Disney history. On a story level, Aladdin isn't always perfect; it's got some serious plot holes and sometimes lacks basic logic. It's story flaws also render the otherwise intimidating villain Jafar a bit moronic, and his motives and actions don't always make complete sense. The script is packed with heart, but the masters of plot holes Ron Clements and John Musker (seriously, go watch any other Disney film they made) sometimes make the narrative weaker than the visuals and music. Aladdin is still an excellent film in spite of a sometimes weak script, and it's definitely one of the Disney Renaissance's finest.